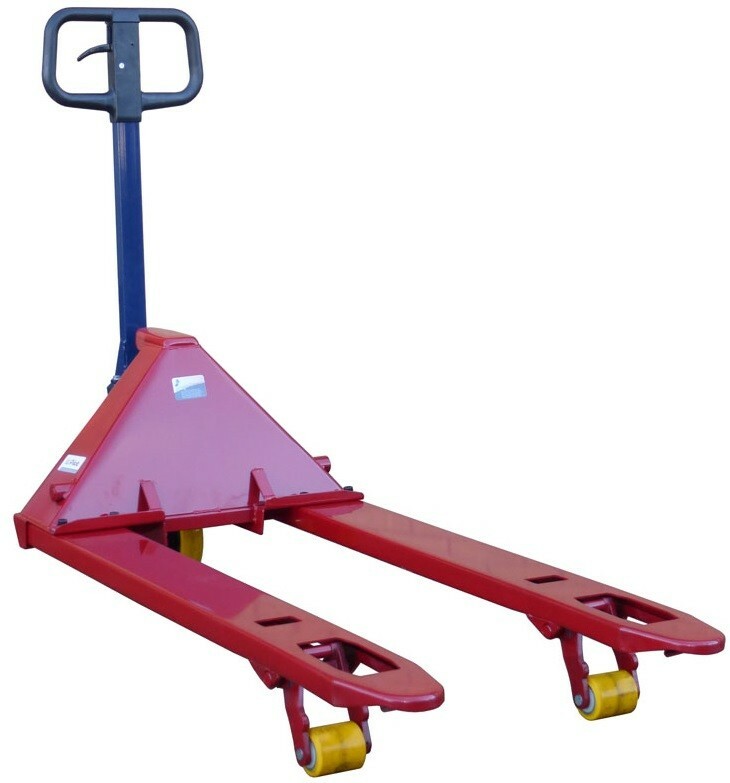 Move all your pallets with one pallet truck instead of two or even three! Ideal for applications where more then one type of pallet is used on site. The 76mm lowered height makes this pallet truck a "semi-low profile" pallet truck. This allows it to fit into many special lower pallets, for example those coming from the US or the Far East. Also feel free to contact us if you wish to establish which exact size of pallet truck (adjustable or standard pallet truck) would best be suited to your application.